Rancho U-Bolt Kits are heavy duty U-Bolt Kits for leaf spring equipped vehicles. These Rancho U-Bolt Kits are constructed from heavy duty zinc plated steel to provide long term service life and corrosion resistance. 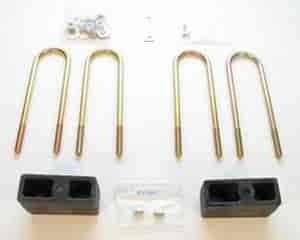 Rancho U-Bolt Kits are easy to install, simply unbolt your current u-bolts and bolt in these new ones. Does Rancho RS80054 fit your vehicle?